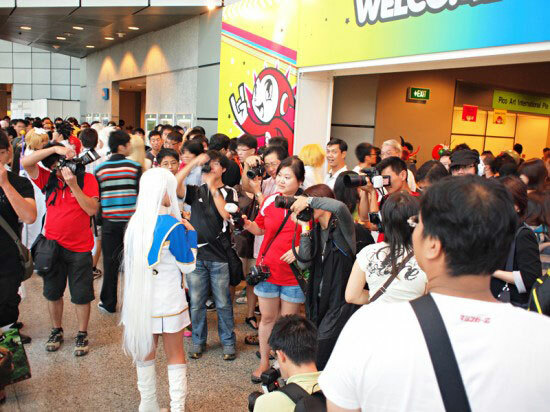 Photos from the Anime Festival Asia 2010 by blogger Sho@Supermelion, who described the event as “the most terrible convention experience in Singapore.” Hard to judge by these pictures but if you read his story he has some valid points. The organiser for the 2010 Anime Festival Asia (AFA X) – one of the biggest anime conventions in Southeast Asia – has announced the guest-list and features for this year’s convention which will be held on November 13-14 in Singapore. The I Love AniSong (anime songs) concert will again be the main highlight, with a decent lineup of JAM Project, Ichiru Mizuki, Angela, SCANDAL and May’n. Kana Hanazawa (Tenshi in Angel Beats) will be the featured voice actress. And there’s the maid cafe yet again, a new butler café, and merchandises, Japan experience zone, theatrical release, serious talks, and the cosplay competition. There were rumours that popular girl group AKB48 will be on the guest list as some of the members will be visiting Singapore the same month, but it’s not to be… seems like they’ll have their own schedule instead. Visit the AFA’s official website for ticketing and other details. No videography is allowed in the maid café, this clip is made by Klik.tv which I think is one of the official broadcast partners of the event. Popular otaku celebrity Shoko Nakagawa, popularly known as Shokotan, will be performing at the Anime Festival Asia (AFA) in Singapore on Nov 21-22. 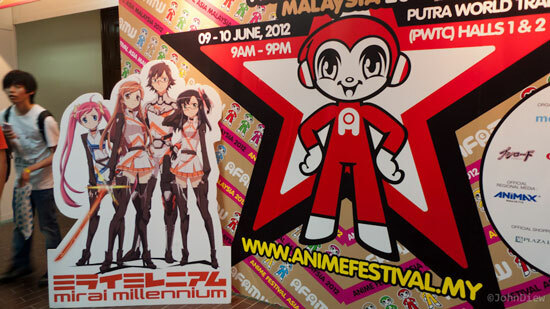 AFA is one of the biggest anime-comic-game conventions in South East Asia; first held in 2008, the event is back again in 2009 following last year’s success. Besides Shokotan, other singers who will be performing at the I Love Anisong concert are May’n, Aniki and Yoshiki Fukuyama. 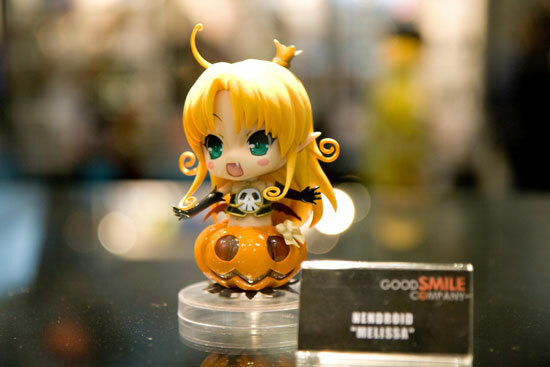 Other sections of AFA09 include cosplay, toys/games exhibits, and a maid cafe etc. More details and updates on AFA official website or AFA Facebook. The inaugural Anime Festival Asia was held last weekend (Nov 22-23) at the Suntec International Convention & Exhibition Centre in Singapore. Was planning to travel south for the event but couldn’t make it; had to attend a wedding dinner.